I have taken a while to write this post, as I've wanted to collect my thoughts about my visit to the September 11 Memorial in New York. I took some photos and will publish some of them here. I have been asked whether I felt comfortable taking these photos. Yes, I did. I took photos - so I could remember the Memorial site, and also 'report' on the site in a factual manner. I did not pose in any photos. Seeing other people pose happily in front of the memorial features did not sit well with me. I understand that seeing photos of the site may be difficult for many people, so if you are not comfortable seeing these pictures or reading my account, please don't read on. Today marks the 11th anniversary of the terrorist attacks where 2983 people were killed at the World Trade Centre, The Pentagon and Flights 77, 93 and 175. The September 11th Memorial site opened in 2011 to mark the 10th anniversary of these attacks, and also to pay honor to those who died in the terrorist attacks on the World Trade Centre in 1993. The museum is scheduled to open in September 2012. It is estimated that each day around 7000 people visit the Memorial site. The visit to the Memorial site was very emotional. As with most people I know, I remember the live footage on the news, and seeing the anguish in the New Yorkers' eyes. Seeing the site brought back those memories, and I felt very sad reading about the events from personal perspectives and seeing the damage done to the buildings. The visit to the site, and reading the book I purchased, made me reflect on the enormity of the tragedy, and I thought about how the world has changed since then. I also thought about how many people were affected - the victims, their families, the rescuers, onlookers, the whole New York community - and I imagine also some of the family members of the terrorists. My friend Katie came to the site with Mum and I, and she told us about when she found out during a morning at school, and how she could see the burning ruins at Ground Zero every day for months - eventually she had to move her bed to change her view. After we went to the Memorial site, we went to Century 21 to shop. I felt uneasy being there after visiting such an important and sad place. I saw people shopping in Century 21 like it was the end of the world - rummaging through clothes and filling up their baskets to the brim. Sadly, on September 11 2011, it was the end of the world for some. We reserved our free visitors passes at the visitor's centre - which is a five minute walk from the site. The visitor's centre features a pictorial timeline of events, some personal artifacts from victims and survivors as well as debris and photos and sculptures of tributes to the victims and rescuers. 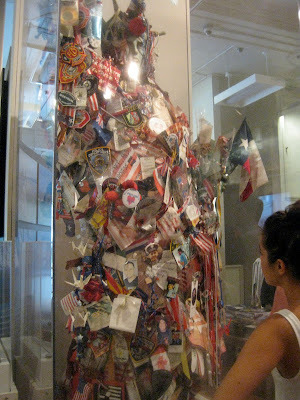 This replica of the Statue of Liberty featrures badges from the various New York fire and police departments as well as letters to the rescuers. A New York skyline was carved out of some of the steel from the World Trade Centre debris. This fire fighter has a tribute tattooed on his back. The visitor's centre also has a gift shop where people can buy postcards, hoodies, books, DVDs, jewellery and other souvenirs. After our visit to the Memorial site, I bought a National Geographic book about the site, as well as a brooch which is a cast of a leaf from the Survivor Tree. All proceeds go to support the memorial and museum. 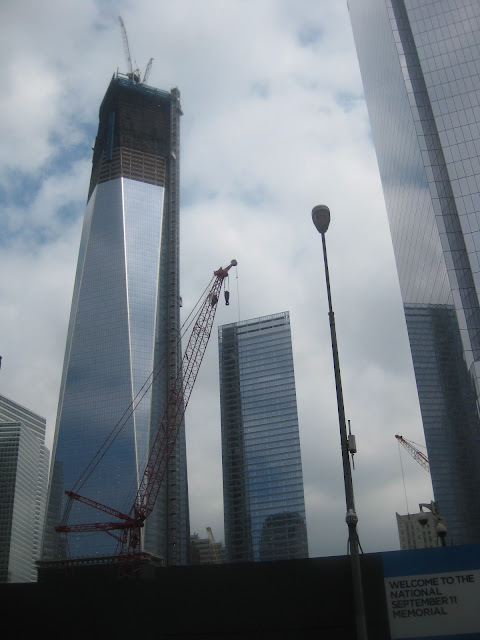 The Twin Towers are being rebuilt, so it is a construction area around the Memorial site. 3000 construction workers are there at any one time. There is very strict airport-like security when entering the site. The Memorial site contains park areas, two pools with waterfalls, the Survivor Tree and at the time of visiting, the partially built museum. 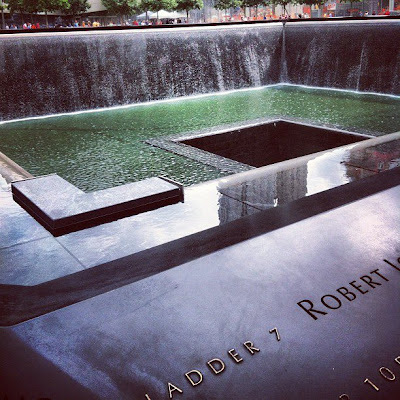 Below is the South pool at the September 11 Memorial site - it contains names of 441 first respondents, 695 names of those who died in the south WTC tower, 40 names from Flight 93, 59 names from Flight 77, 125 names from The Pentagon and 60 names from Flight 175. The North and South pools are set in the footprints of the original twin towers of the WTC. Some of the names around the pools were of females and their unborn babies. This was very sad to see. This photo isn't the clearest, so apologies, but I took it through the window of the museum. You can see scaffolding and some concrete steps - these steps are the Survivor's Staircase. This staircase where survivors raced from the building. The stairs were salvaged and moved to the entrance of the museum. Read more about the Survivor's Staircase here. The Survivor Tree is also an iconic piece of history at the Memorial site. This tree survived the 2001 terrorist attacks, and was removed from the site, smoldering and lifeless, then nurtured at a nursery in The Bronx. It was replanted at the Memorial site in 2010.Read more about the Survivor Tree here. As we left the Memorial site, these brass wall sculptures were on the side streets, paying tribute to the rescuers. And this flag, available for purchase, is made up of the names of the victims of the 2001 terrorist attacks. For more information about the September 11 Memorial, visit their website: www.911memorial.org. My fellow Aussie blogger, Louisa Claire, filmed her visit to the Memorial site. If you are interested in seeing the surrounds with her commentary, click here. I remember when the terrorist attacks happened. I had no idea of the scale of the buildings that had been hit. I had no idea of the enormity of the tragedy. To visit the site gave me that perspective, and the chance to pay respects to those who died and who worked around the clock rescuing survivors and rebuilding the site. 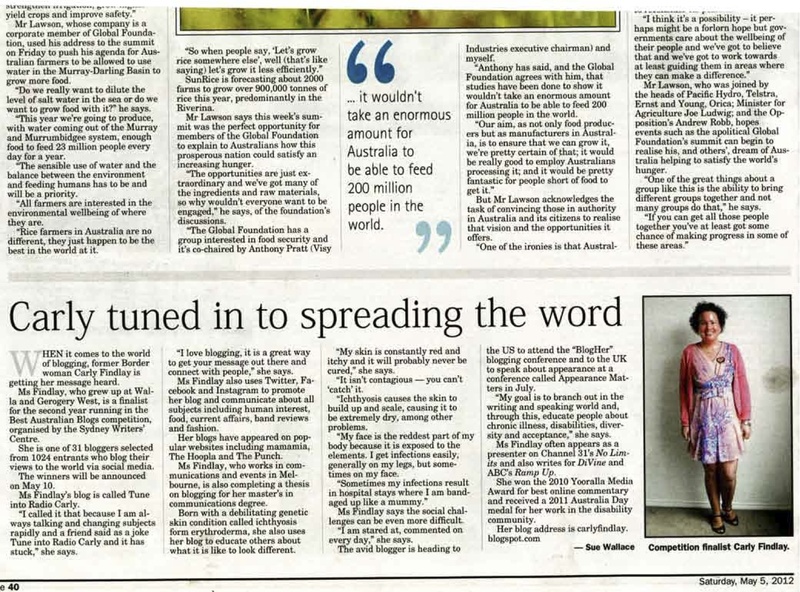 Thank you for your respectful article. September 11, 2001 was the most beautiful day that any of us could ever remember -- clear, cool, the air smelling fresh, New Yorkers filled with energy and enthusiasm. It was Primary Election Day for some, the first day of kindergarten for others. While I was getting ready for work, I had the TV on, and saw the first plane hit. It looked like a small plane had mistakenly hit the building -- a terrible accident, nothing more. I called my mom in Florida, and we were still talking when a few minutes later the second plane hit. We both said, "Terrorism." The world has changed, but babies are still being born, the sun still shines and life goes on. And hopefully each tomorrow is better than the day before. This is a great post Carly, thank you. I'm grateful because I actually couldn't face the 9/11 memorial when I was in New York. Too upsetting. I've only read in the last few days about New Yorkers being upset about people taking posed photos at the site. Personally we didn't feel it was the kind of place to do that. We took photos of the names we remembered from the quilt project, and of the waterfalls, and that was it. 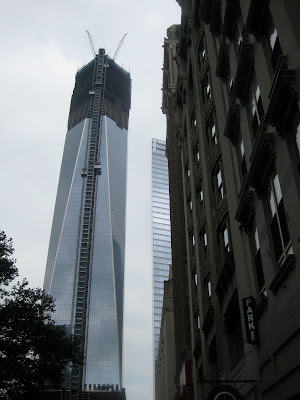 When I went to NYC last year I had absolutely no desire to see Ground Zero. I went past it in a bus and that was it. Conversely, when I went to Japan a couple of weeks ago I went to Hiroshima and probably for the same reasons people go to Ground Zero ie for the history and to see some small spot where the world essentially changed. I'm not a New Yorker but my opinion is this: when people go to Ground Zero or Hiroshima or anywhere else where tragedy has struck for that matter, and respectfully record it to remember their time there or show the world (like in a blog post), then that tragedy lives on in some small way. It is remembered. And I often think that is a good thing because by remembering how very horrific it was means hopefully we will do all we can to prevent it happening again.